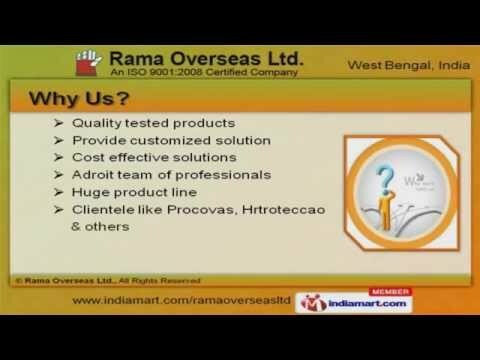 Welcome to Rama Overseas Ltd. Manufacturer & Supplier of Welder Apparel and Drivers GloveWe are an ISO 9001:2008 certified company, incepted in 1986, at Kolkata. We havereceived SME & NPCI Awards. Procovas & Hrtroteccao are some of our esteemed clients and we are supported bycustomized solutions & huge product line. We offer a vast range of Drivers, Leather Palm & Welder Gloves. Our Overall, Trousers & Jackets are in huge demand across the global markets. Welder Apparels & Hospital Garments offered by us are available at industry leadingprices. Our Cold Protection & Water Repellent Gloves are extremely reliable. We also provide Hi-Viz Clothing & Heat Resistant Gloves that are widely acclaimed inthe market. Along with that we offer Mens Shirts, Apron & Long Coats that are a class apart.